When it comes to treating chronic pain, physicians have often turned to medication as a first resort for conditions such as headache, neck pain, low back pain, and pelvic pain. In recent years, it is becoming increasingly obvious that this has been a bad approach. The “opioid epidemic”, as it’s now called in local and national news, has claimed the lives and livelihoods of millions of Americans, and shows no signs of slowing down. 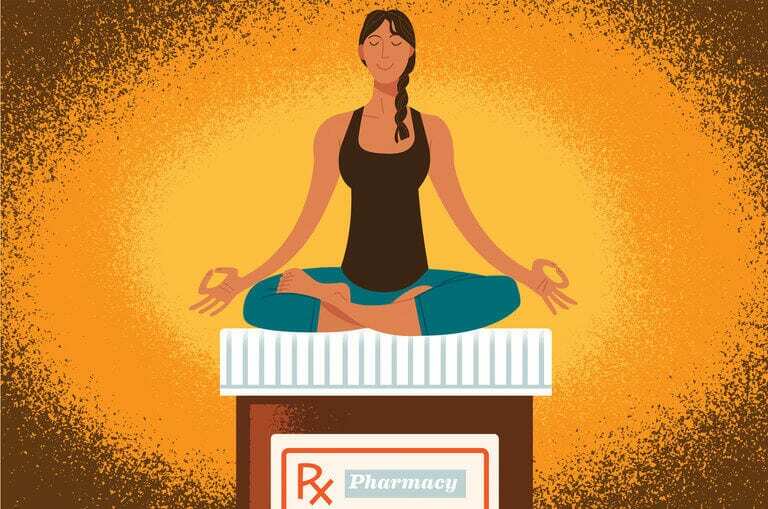 Why do physicians so quickly turn to medication for treatment of chronic pain conditions? Is strong medication the only thing that can provide relief for headaches? Is there no other approach for treating neck and back pain? Still, one should consider the pros and cons of medication vs. alternative therapies. Most people recover from severe pain without the need for surgery or long-term, potentially addictive medications. If you do not have a serious diagnosis requiring surgery, consider a visit or two to the physical therapists at Saunders Therapy Centers. We can consult with you and tell you if we can help. We are well-attuned to financial considerations and will make sure to not waste your money or time when determining what we have to offer for your particular case.